What a fabulous read, transported me back to the past. 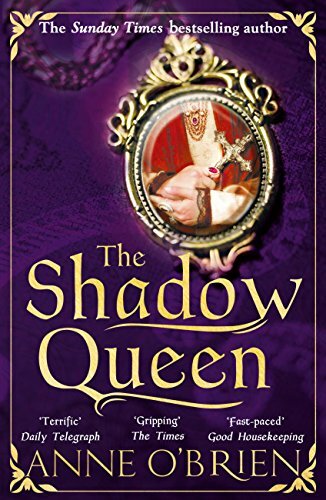 Its a while since I’ve read any historical fiction, I used to read more, with Elizabeth Chadwick, Phillipa Gregory, Sharon Penryn and Alison Weir being my favourite authors for this type of novel. Its told from the POV of Joan, and she’s just 12 when we meet her. Looking at many historical novels from today’s POV its horrifying that children were betrothed as babies, went into marriage ceremonies when very young, though often remained with their families until in their mid/late teens. They grew up quickly in those days though, especially in royal households where children were routinely sent off to others, in the pursuit of power for the Family. When we meet Joan she’s about to be married to Will, another boy her age, from a close family to the royals. Its a match made by the families, and Joan likes Will, but there are reasons she can’t marry, reasons she hasn’t told anyone. When she does, well, both families ensure its swept under the carpet, assuming wrongly that they’ve put an end to any scandal. Of course things don’t work that way, and it starts a chain of events that dog poor Joan’s life. She’s clever though, ambitious, and ensures she does her best to make things work out how she wants them. It sounds like she’s an unpleasant manipulative girl, but she’s not, not to me. She’s in love even though Thomas is so much older, she does her best to be a good wife to her husbands, to ensure she does what she can to help them, to make them happy, to get the recognition due to them. She adores her children and is a fierce, protective mother for their futures. In a time when men ruled all, and women were simply chattels, to be moved around to forge alliances regardless of what they wanted, where they could be cast out easily, where the Royal Family and Parliament were in an uneasy power struggle, she did what she could for her family. I so felt for her, events had me really tearful at times. I didn’t see how blame could attach to her for what she did, but as always women seem to catch more than their fair share. She was lucky in her friends from childhood, Will, her long time friend, sometime husband, and of course Ned, heir to the throne who’s another childhood friend, Isabella, a cousin I think or maybe second cousin…. Edward, the young king, is her cousin, and his wife Phillipa is a strong but gentle lady, and has brought up Joan since very young as part of the family, as was common in those days. The love between her and Edward has a great impact on Joan’s life. Its a story of political machinations, the vicious scramble for power, backbiting, double dealing. No-one could ever be quite certain the bargains they made, the allies they forged would really hold out when needed. For Joan to have forged a path through that, a woman up against powerful men, at a time when they scarcely had a voice she was a remarkable person. Its a story I really enjoyed, an author new to me but whose books I’ll certainly look out for in future. Stars: five, a fabulous dive back into a time when women were almost voiceless so had to use clever ways of getting what they needed.